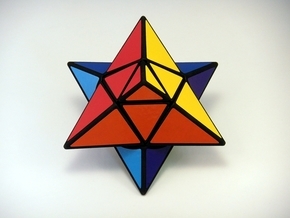 The Pentacle puzzle is essentially a pentagonal floppy cube. 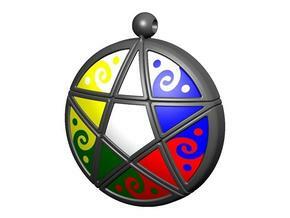 It turns on five axes, one at each point of the star shape. It is a bit trickier than it might seem at first glance since the reverse side shown the same pattern, but it is mirrored. 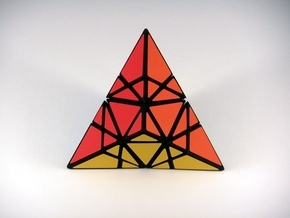 This model is only the color chips used to complete the puzzle. 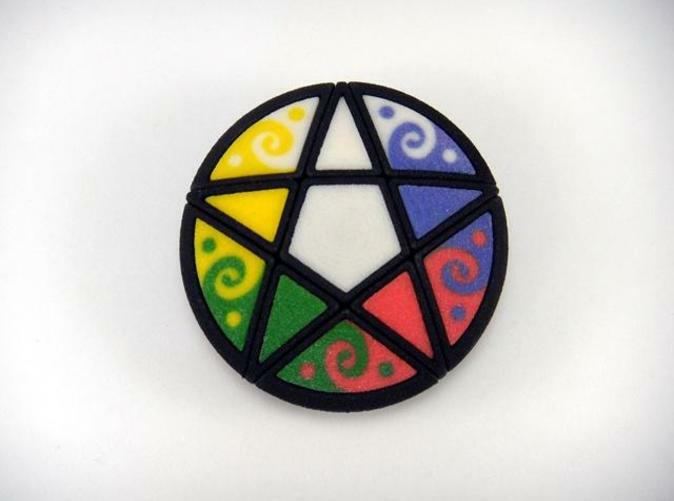 You will also need to purchase the Pentacle puzzle model, which is the functioning frame for the parts. 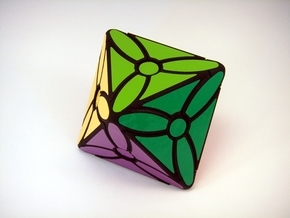 This model is made in full color sandstone, and provides the colored parts of the puzzle. No stickers are required, but I strongly recommend spraying the finished puzzle with a clear coat to protect the sandstone. Use several light coats, and make sure to let them dry and test the turning between each coat. Please be sure to assemble these color chips into the completed puzzle correctly. Refer to the 3D color rendering above to get the pattern right. The parts are not easy to remove once they are pushed into place!